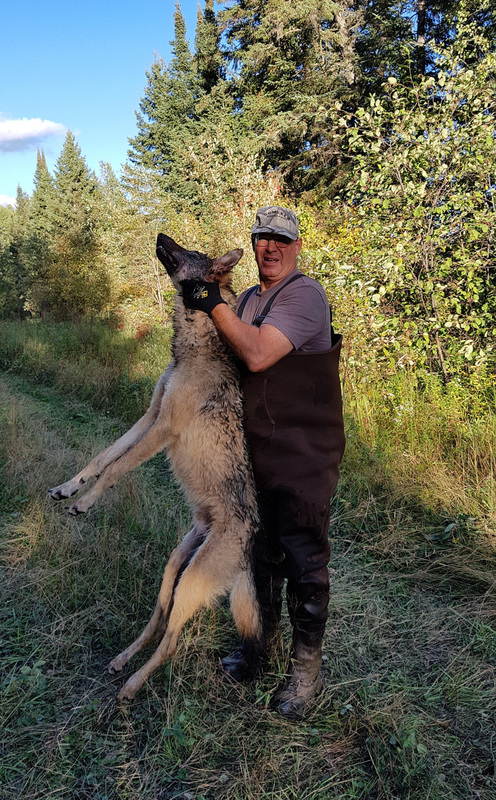 Last month, I was hunting geese from a blind on shore along a river when the timberwolf attacked my hunting dog in the water. I shot the wolf from shore before she got hold of my hunting dog, and I used the Wavewalk 700 to retrieve it. Wow!! This is certainly not your typical case of self defense, but nevertheless a truly legitimate one. Seeing your beloved dog being attacked by a timberwolf must be an extreme situation. According to the Internet, timber wolves are the world’s biggest wolves, and some have been reported to bring down moose and bison. Once again, Wavewalk users sometimes get into unbelievable situations, and they also get out of them. Awesome, Russ…..I’ve seen wolves out west, but the one you shot is one big dude. As the editor of this blog, I had a moment of hesitation about whether I should publish these images, since some people would say that they are “graphic”. Well, it’s not the usual stuff that you see on kayak and boat websites. But this is the reality that some Wavewalk users experience out there, in the wilderness. A big and powerful predator attacks their beloved pet – a friend and practically a member of their family, so they shoot and kill the attacker. It could have been an alligator in Florida, or a bear elsewhere. I think it’s the fact that this timberwolf looks so much like a dog is what makes these images so striking. Russ has been using boats for fishing and hunting for decades, and he was a fishing and hunting guide for many years. 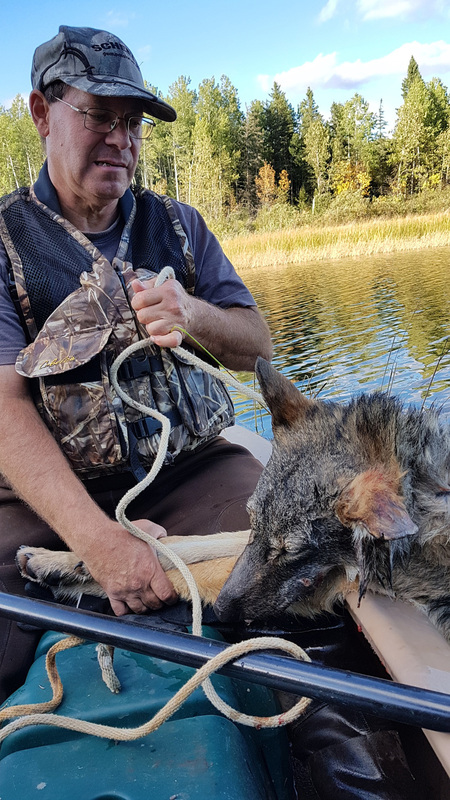 He lives in the wilderness, and the fact that he ended up using a Wavewalk 700 for fishing and hunting says a lot about the capabilities and reliability of this “kayak”. While I’m sure it ruined your goose hunt, I’m very happy for the outcome. That was the only thing you could do, your hunting, your dog is hunting with you. Then Your dog becomes a target of a wolf out for a kill, and they will kill dogs and eat them, you did the only thing you could do. Congrats on the nice clean shot, and the saving of your beloved pal. Tight Lines, dry guns and amo MoPadding safely!